The 3rd #DevTO of the year is already around the corner, which also means DevTO is quickly approaching it’s 4th birthday! RSVP Here. In this session, Robyn will discuss the 9 week transition and how she landed her first big contract with 140 characters, the similarities/differences in both careers, what she learned along the way and where she is going now. Robyn is a former nuclear engineer now blurring the lines between work and play as a front end web developer, mentor and entrepreneur. The innovation of bitcoin is perhaps the most important development of the early 21st century. In a span of only 5 years, the digital currency has jumped from being traded at 4 tenths of a penny, to highs of over $1200. In that time, we’ve seen individuals, government organizations, and large corporation warm up to the idea that bitcoin may be a form of cyber money pundits have been predicting for years. Outside the control of any centralized institution and owned by no one party in particular, bitcoin sets the stage for something bold and new. Experts describe it as a breakthrough in computing science formulated upon decades of research. Bitcoin operates by open-source and freely accessible technology backed by the mathematics of cryptography, to create a universal ledger of information. Bitcoin is poised to disrupt an entire swath of industries, holding promises of disruptive, even chaotic scenarios that will endure in the coming years. More swiftly than ever, this transformation will elicit massive changes on the way we work, play, and live. Travis Patron is a singularity researcher and cybereconomist most well-known for his thought leadership into digital economies such as bitcoin. As a respected public speaking authority and author, he has helped audiences ranging from small teams to large university classrooms understand the implications of non-political, programmable money for the average consumer. You can find him in Toronto, apathetic towards voting while hunting banksters for spare organs. 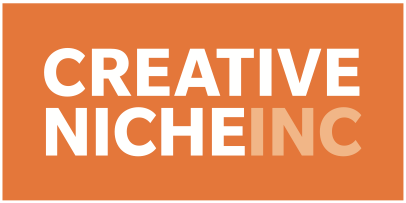 Creative Niche is a temporary staffing, permanent recruitment and executive search firm specializing in advertising, communications design, development, marketing, mobile, public relations, and social media throughout North America, Asia and Europe. Founded in 2002, our firm connects top talent with leading companies from across the globe. That includes the marketing departments of multinational corporations, as well as advertising, digital, marketing and public relations agencies. Our clients—ranging from start-ups to Fortune 500s—include Cohn & Wolfe, Draft FCB, Edelman, Frontgate, Interbrand, Kroger, Maple Leaf Sports + Entertainment, Ogilvy, RBC, SapientNitro, Sid Lee and TD Bank. Check out the Fast Five tips from Creative Niche on Freelancing Success! Mercatus Technologies enables retailers and advertisers to achieve competitive advantage, boost brand equity, and improve financial performance. Leveraging Mercatus’ smart shopping technology on a cross-channel marketing level, achieve the ultimate one-to-one relationship with shoppers throughout their buying cycle—from intent to influence to purchase. Check out their career page – they’re hiring PHP developers! is a community of entrepreneurs working together on King Street West. A cool location and a historic brick and beam building may describe where our Members work, but the inspiration comes from you. We want to help you connect, collaborate and innovate and improve your business results. That’s the essence of entrepreneurial success. Starting a new business means putting everything on the line. It’s a lonely road with many surprises. Taking this journey with others, some a little ahead and those who may have stumbled, is the best path for giving your enterprise every chance for success. 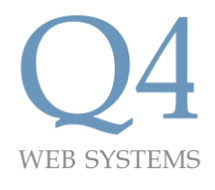 Q4 Web Systems (Q4) is the leading provider of investor relations websites, social media and mobile solutions for public companies in North America. With 400+ clients and 50+ employees they are currently looking to grow their Liberty Village office. Learn more about their stack at the Q4 Stack Blog. Digital Ocean is simple cloud hosting that is built for developers. Deploy an SSD cloud server in 55 seconds! We take the complexities out of cloud hosting by offering blazing fast, on-demand SSD cloud servers, straightforward pricing, a simple API, and an easy-to-use control panel. You’ll be amazed at how fast and easy it is to create a cloud server. Setup is super quick and painless. Vena is a cost-effective, user-friendly and easy to implement corporate performance management solution that ties the power and flexibility of Excel to a secure, centrally managed application. Organizations of every size rely heavily on spreadsheets to drive business processes. People love their flexibility, easy to use modeling capabilities, raw analytic power and many options for enhancing reports with charts and graphs. Learn more about Vena and the positions. Lighthouse Labs is Canada’s developer bootcamp. They teach people to learn to code in 8 weeks, and do it in a way that truly prepares students for amazing careers. Based in Toronto and Vancouver’s most innovative tech hubs, Lighthouse Labs combines a TA community of 40+ full-time developers with an agile curriculum that emphasizes building real software. This has allowed them to achieve the ultimate result for its students: 100% job placement rate.